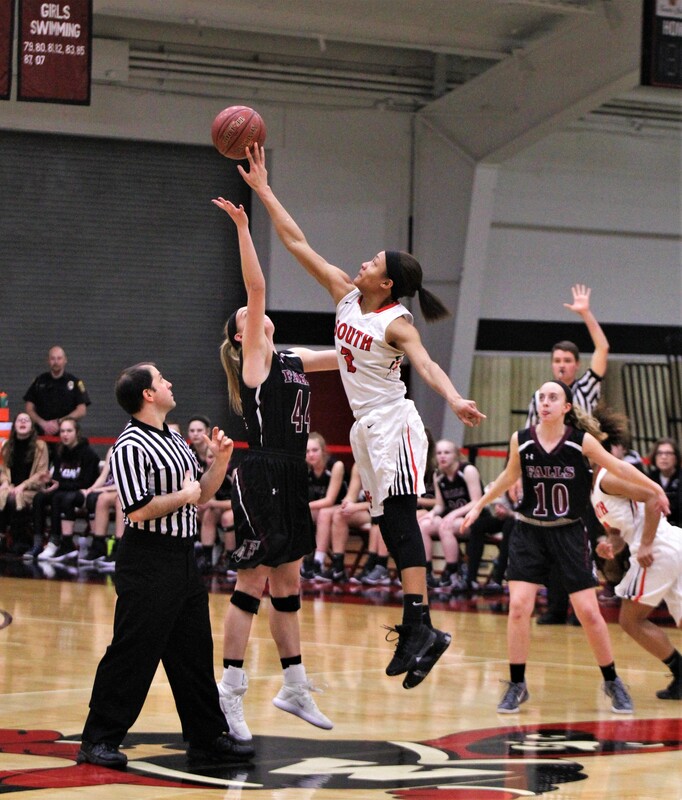 In front of a relentless flow of cheers from an enthusiastic fieldhouse, South’s women's basketball team won consecutive games Friday and Saturday night to become Regional Champions, and advance in the WIAA tournament. The Blackshirts play next in a sectional game this Thursday at 7:00 against #1 seed Arrowhead, at Brown Deer High School. The team defeated Menomonee Falls Friday night by a score of 47-30, and won again Saturday against Germantown, 54-44. South finished their season fifth in the Classic Eight, and entered the tournament seeded fourth in the 16 team sectional. More posts by Delanie Johnson. More posts by Jess Prater .